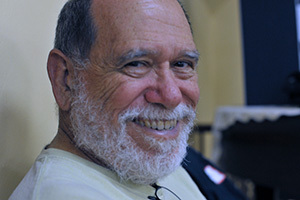 Mike Head passed away the morning of July 7, 2012. Here is the obituary published in the Houston Chronicle. Mike was a multi-instrumentalist, a tune composer, a dance impresario, a Morris dancer, a contra and English dancer, caller, organizer, and choreographer, and an all around wonderful guy. And those are just his dance creds! He was also an architect, artist, potter, father, grandfather, husband, and so very much more. Mike fiddling in Oxford Hall with one of his paintings behind him. 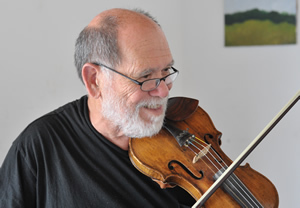 Mike was one of several musicians who played in the pickup bands when Dorcas Hand was trying to get contra dance established in Houston in the early 1980s. As Mike told it, at one dance there were more musicians than dancers, so he jumped off the stage and learned to contra dance. At that point he was hooked. He said that if that dance broke even, he'd hold another dance the next month. It did and he did. He did the same thing the month after that, and the one after that, and so forth for about three years with calling help from Liz Benjamin and Keith Holmes and production help from a growing group of dancer volunteers, taking off during the summers when the air conditioning just couldn't handle contra dancers. The dances grew to the point that the small Women's Club building could barely hold the crowd. With Mike's enthusiastic blessing, a committee—"The Committee"—was formed to relieve him of having to produce every dance. 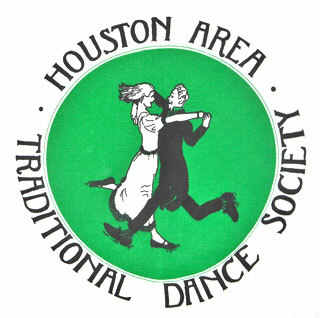 Mike remained as a member of "The Committee," which soon decided to incorporate, and the Houston Area Traditional Dance Society was born. Mike tore down the garage behind his home on Oxford Street and built a storage shed. At least that's what he told the city, and it was indeed used for storage, but most of us knew it as Oxford Hall, a fine, small venue that hosted the Bayou Bedlam Sunday dances, the Heights English Country dances, part of the 2011 CDSS Leadership Conference, and many concerts. It also served as a Girl Scout meeting place, band and dance rehearsal space, and a big playroom for his and his wife Alice's grandkids. Through the years Mike called and played for HATDS dances. He served on the HATDS board of directors. He drew the designs for the first HATDS t-shirt and the early Bayou Bedlam t-shirts. He stayed active on the Bayou Bedlam committee through the 2012 event. He served on the board of the Country Dance and Song Society. He started a new open band that he called Contra Dan's. He danced and led English Country dancing. In 2011 Mike and Alice sold the house on Oxford and moved to a large lot on Judiway where they could build a new house (with a new, large kitchen for Alice) and a new Oxford Hall. Although Mike did not live to see the house finished, before he left he made plans for his Going Away Party, to give once again to the dance community that he loved. Mike's Going Away Party was held on the afternoon of Saturday, September 22, 2012 at the Judiway house. As she often does, Alice ordered beautiful weather, and it was dutifully delivered. Mike's brother David performed a song he wrote in honor of Mike. Dorcas Hand showed a slideshow she created that consisted of tributes and video clips of Mike singing and dancing. Alice's grandson Vincent performed a magic show. Alice, with help from her family and Marcy Holmes, supplied a table of food. Dorcas, Barb Smith, and Grant Goodyear called contra dances and Keith Holmes called an English Country dance, all to the music of Perfect 5th with assistance from Allison Hicks. 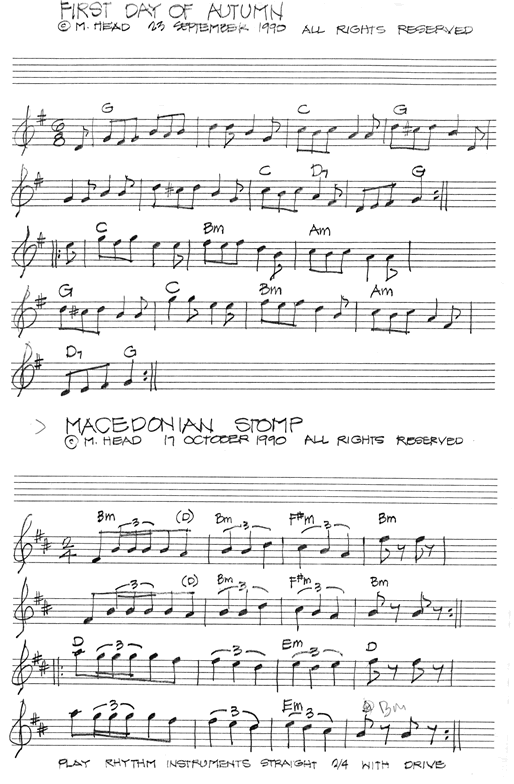 One of the tunes played was Mike's First Day of Autumn , especially appropriate since the party date was in fact the first day of autumn. There were at least two jam sessions going on simultaneously. Long time HATDS supporter Oletia Teas celebrated her 81st birthday at Mike's party. Mike had requested to be cremated and have his ashes included in vases to be given to his family. Those vases, made by a potter friend, were on display. 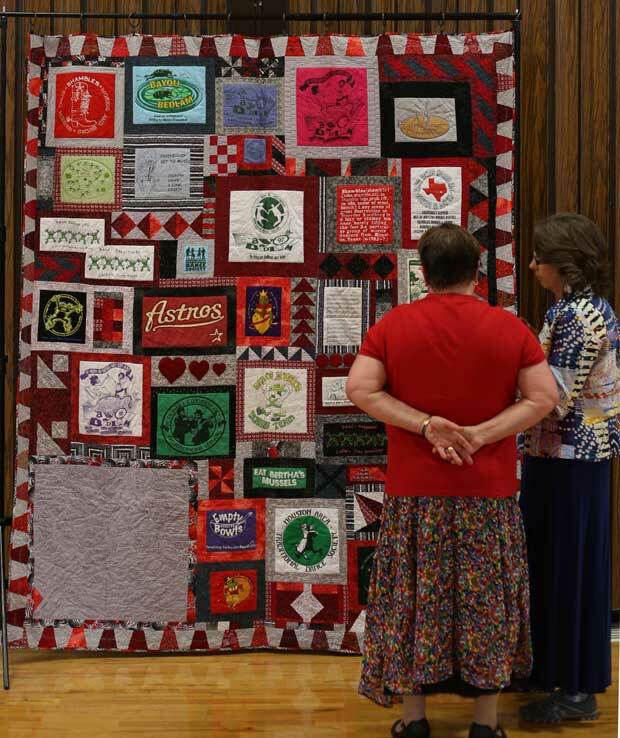 In an especially touching tribute to Mike and as a gift for Alice, the Hildebrandt family, who really didn't know Mike, created a quilt made from several of Mike's t-shirts. The quilt was still a work in progress at the time of the party so daughter Hannah and dad Randy showed a photo of the top of the quilt and asked everyone to sign a square that would be included in the finished quilt. All in all, a grand time was had by everyone, just as Mike intended. The finished quilt on display at Bayou Bedlam 2014. Mom and chief quilter Melissa Hildebrandt is on the right. The square with the signatures is in the lower left corner.